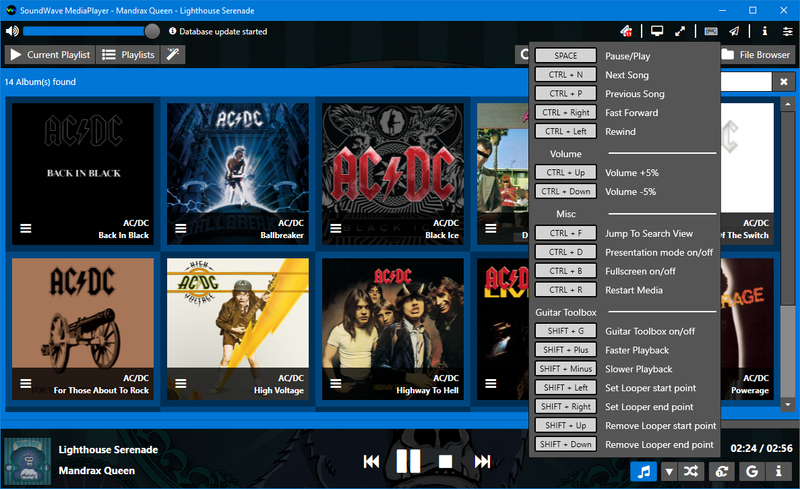 SoundWave is Freeware, so give it a try. "Good code is its own best documentation." adopt your Windows 8 and 10 look. But it also runs fine on Windows 7. It comes with 4 different "flavors"
from which you can choose your favorite. 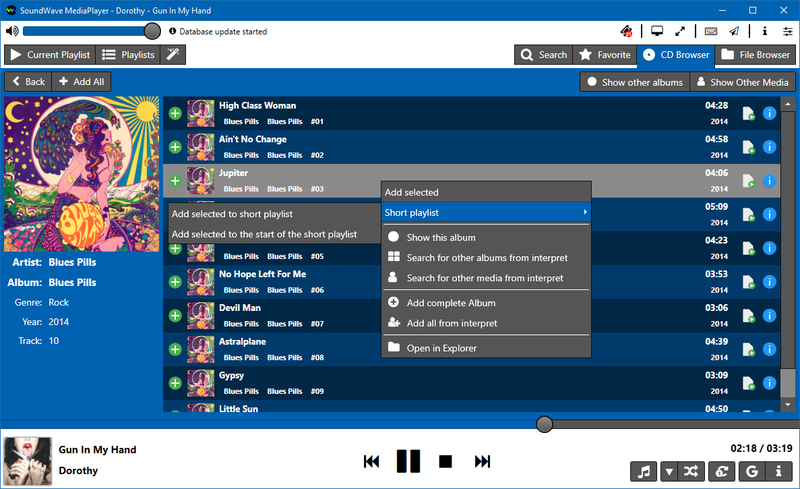 SoundWave uses the Jump List to let you access the latest playlists or simply play the "Best of last 6 months". 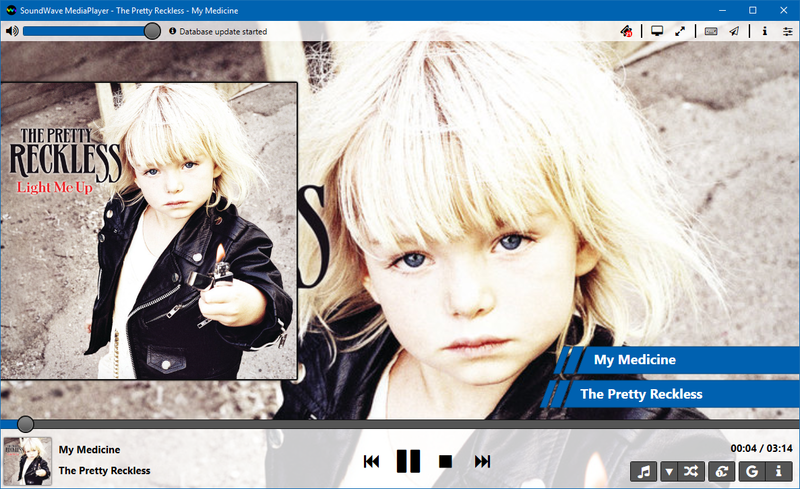 We also added Thumbnail Toolbar Buttons for quick control of your music. SoundWave comes with a build-in Guitar Toolbox. 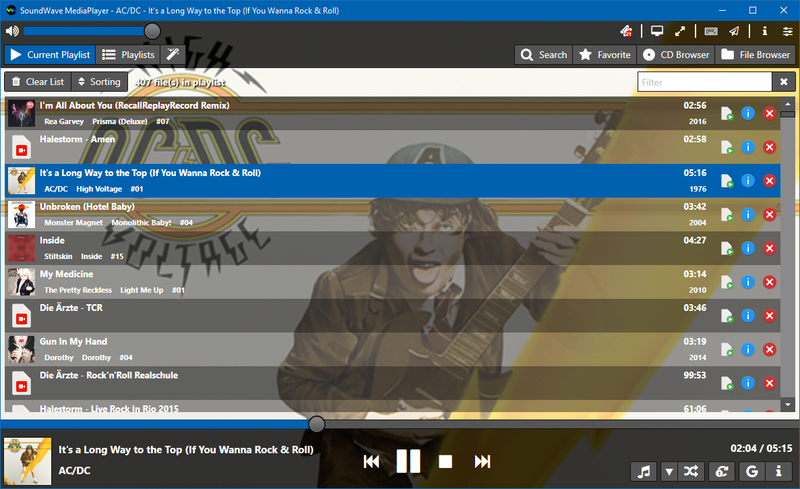 You can change the playback speed of your song without changing the pitch. 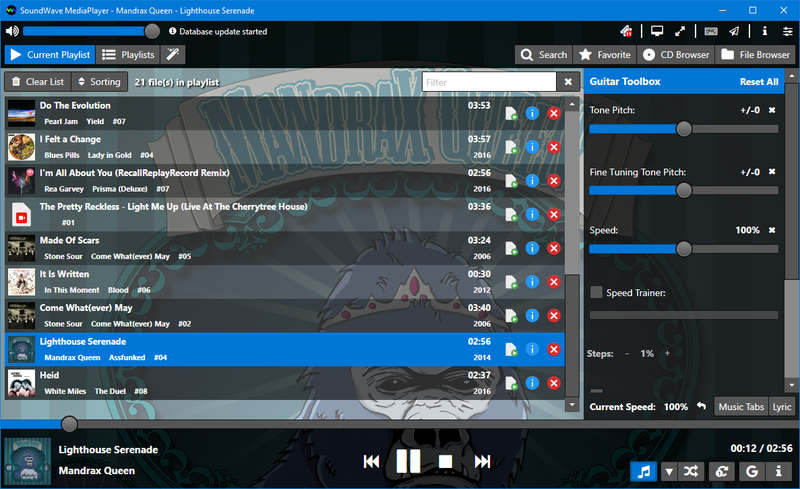 You can also add comments like "Drop-D Tuning" or other important information. All these will be stored in the local database and automatically restored, if you activate the Guitar Toolbox. You can activate the Looper to practice a special part of the song. And if you also set the Speed Trainer to start at 70% and go to 110%, then it will be easy for you to master it. The first review of SoundWave was done on the German page www.freeware.de. Click the banner to read the review (German only). 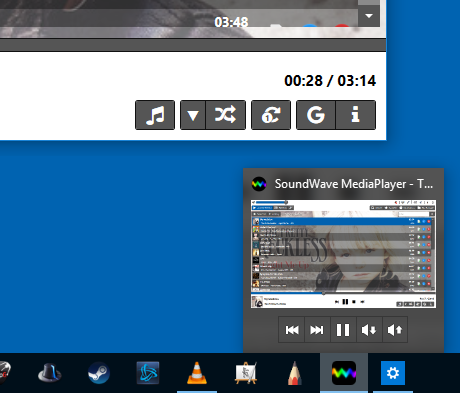 SoundWave is tested with Windows 7, Windows 8 and Windows 10. The installer will check for .Net 4.6.1 and ask you to download and install it, if it was not found. Everything else is coming with the install package.